Are you DoughNUTS for Donuts?! These decadent donuts are not daunting, but are quite possibly the easiest donut recipe you’ll ever make. I make this as a classic, non-chocolate, donut also. They are best fresh out, while still warm and delicate. Dare to try this delightful recipe and enjoy! -Heat oil to 365-400 degrees. I used my electric skillet this time around, but have made it before right on the stove with a pan filled with oil too. 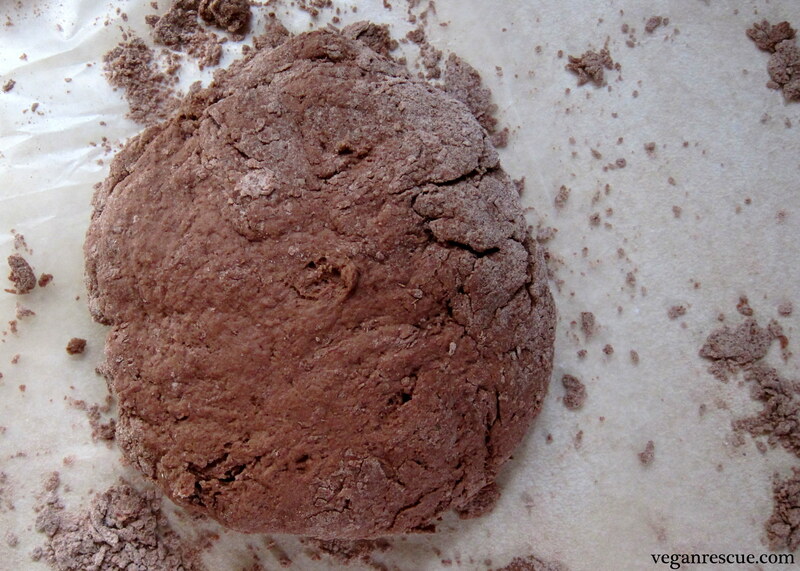 -In large bowl whisk together dry ingredients to combine. Stir in Almond milk with a spoon to combine. 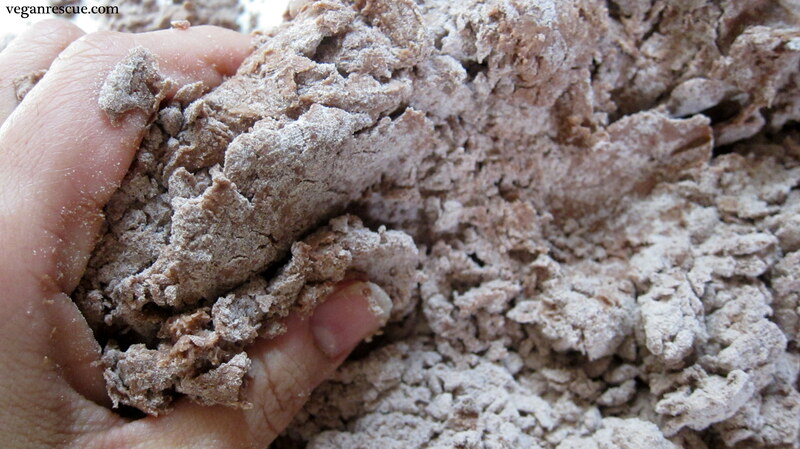 Mixture will look crumbly but should easily form a ball. 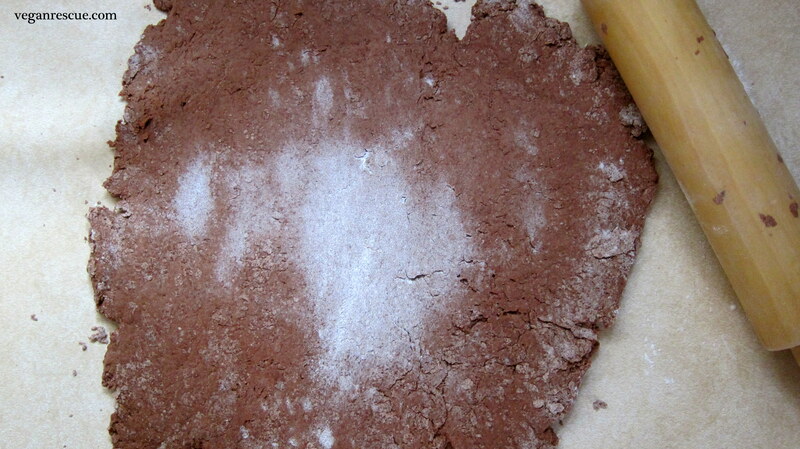 -Flour surface and turn out mixture to form a ball. 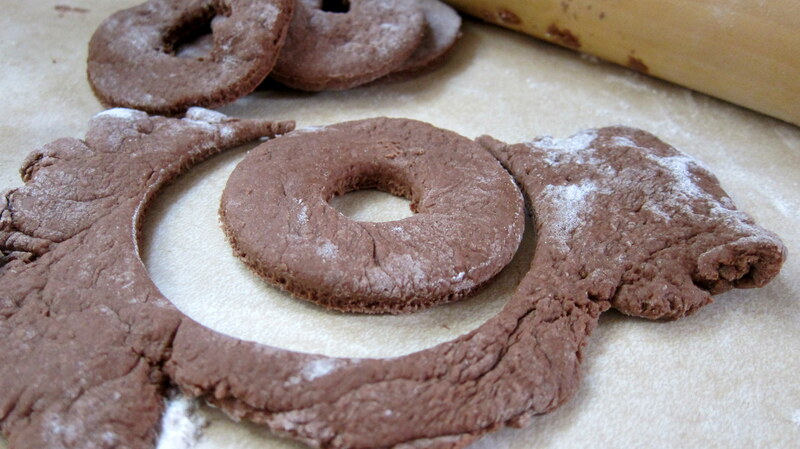 -Roll out until about ½ inch thick and cut into donuts. 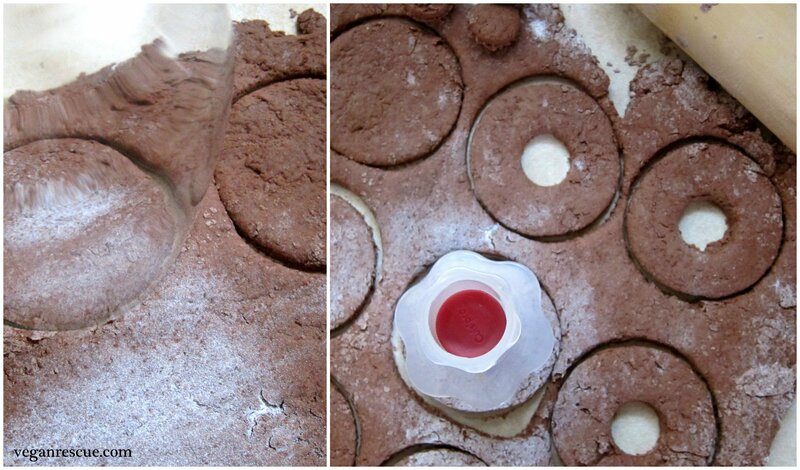 -You can use a donut cutter. 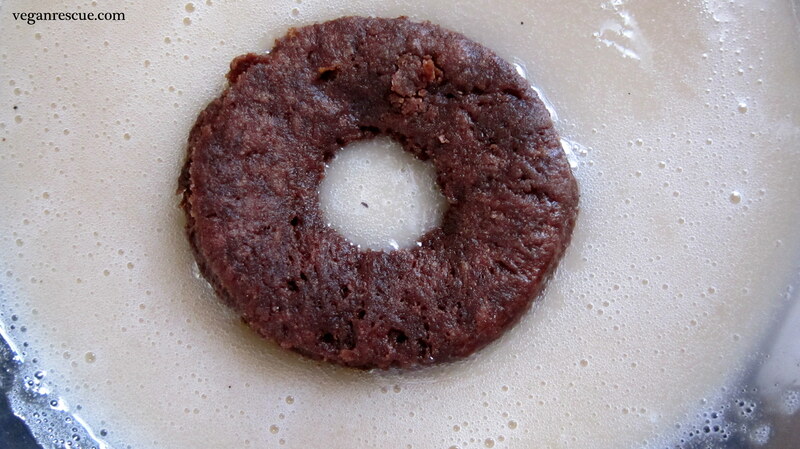 I like cutting these into mini donuts – makes about 16-18 mini donuts. -After you cut out the first round. Fold over remaining dough and roll out again. Keep going until there is not enough dough left to cut out. Note if you do not have a donut cutter: My donut cutter broke the last time I made donuts, I haven’t replaced it yet, so for this recipe I cut out the donuts with a stemless wine glass and for the center I used my cupcake corer. -Same ingredients as above omit Salt and Espresso and replace with Cinnamon for a kid friendly version. 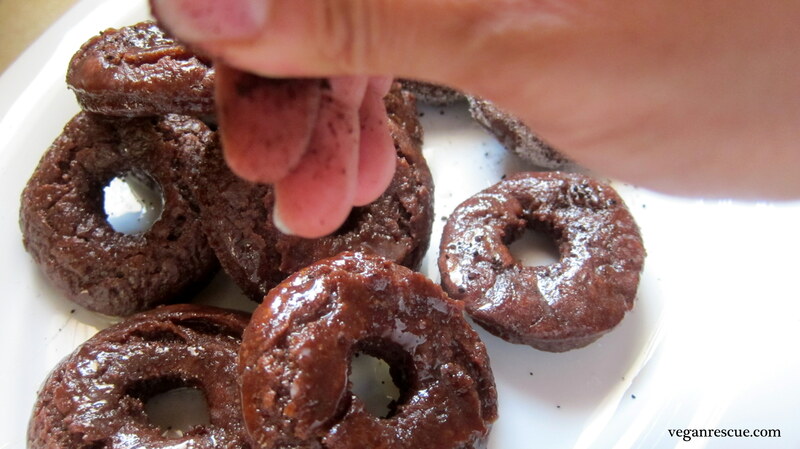 –Glaze: Whisk all ingredients together and dip donuts into glaze. Optional: Top with ground espresso and a pinch of salt for the grown-ups. 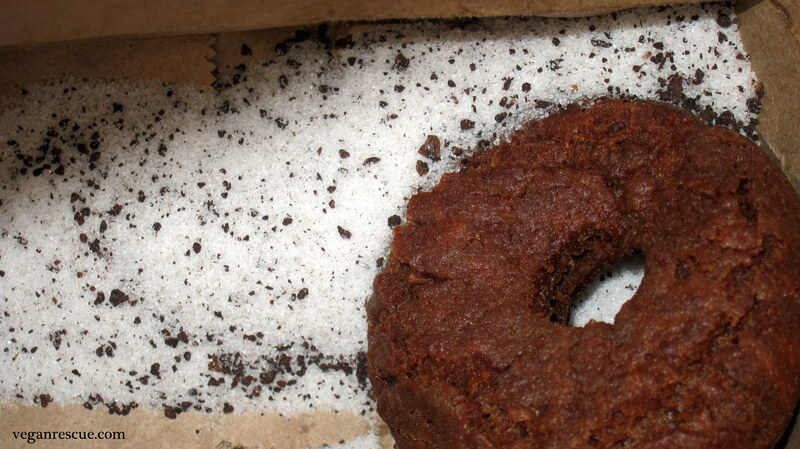 –Sugar Topping: Combine all ingredients in brown bag (lunch bag) and toss 2 donuts at a time in mixture and shake up. These look delicious. I may have to try them. Thank you @AC Hoekwater, can’t wait for you to try them! These look wonderful! I want to try making them with my son. We are both vegans, and he has quite the sweet tooth. Thank you @Laurina. That is wonderful, let me know how they turn out for you and your son! My kids (son too especially) have a sweet tooth and they love these best with cinnamon/sugar – shaken up in the bag and I’ll make them non-chocolate using 1 3/4 Cup of the Self-Rising flour instead. Chocolate is good too of course! Oh, yum. Double yum. These look mega tasty. 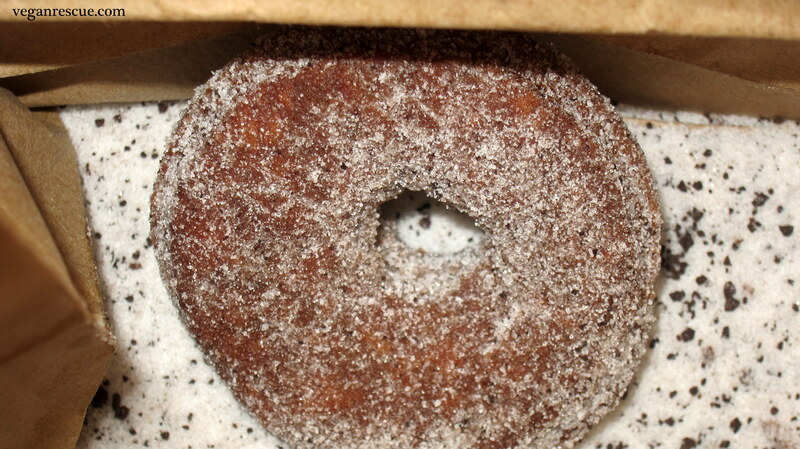 Love the idea of the non-chocolate donuts with the cinnamon sugar topping, too. Thank you so much! They are super easy that’s why I love them too. Thanks for stopping by. I like these doughnuts! Their rustic look makes me want to taste some! i love them in chocolate flavour! Thank you Coconutcraze! I have more Coconut for you, check out my coconut bacon or my carrot cake balls. Here I am…checking them right away! These look good. I appreciate vegan recipes although sometimes they are a bit plain. But I think I would like these treats. Those seem dangerously easy! Is there any way to bake them rather than frying them? 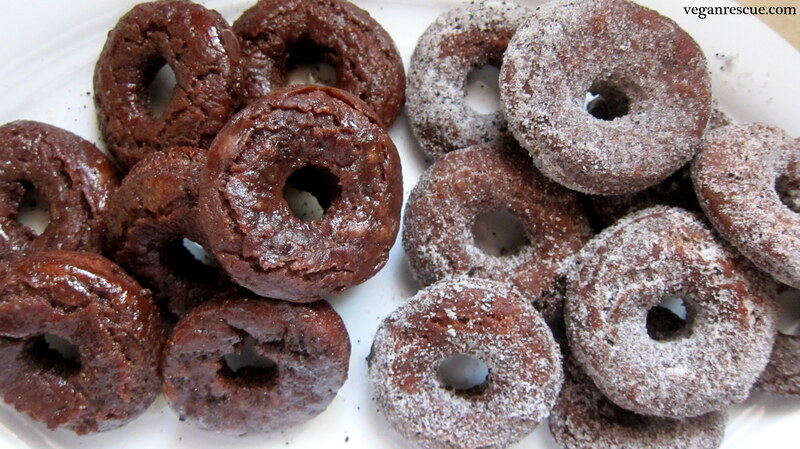 I’m not a big fryer (though I realize they are donuts!). These look great! I’m not a huge chocolate lover, but I might just have to try these! 🙂 I LOVE doughnuts . . . or actually the thought of them . . . but then when I stop and really THINK about them, I remember the lump-of-lard feeling in my belly the last time I ate one and all desire disappears. I bet these would not leave that feeling in my stomach. 🙂 They look delish! !